Photo source: Axel Quack. Some rights reserved. Although the Northern and Southern Dong speak different languages, they have been combined to form the official Dong nationality in China. The two groups are also culturally different. The Northern Dong have been assimilated into Chinese culture much more than their southern counterparts. The Dong call themselves Kam. The Dong were not known by that name until this century. 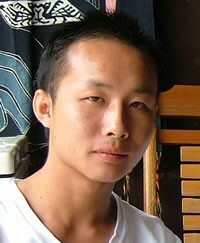 In the past they were part of the ancient Yue race, which dominated southern China. The Dong have many ancient myths and legends about the origin of the world. One of the visually striking aspects of a Dong community is the Drum Tower. For centuries, the Dong have used the tower as the rallying point of the community: a place where the village gathers for an emergency, celebrates a wedding, and where young Dong couples sing love songs to each other. 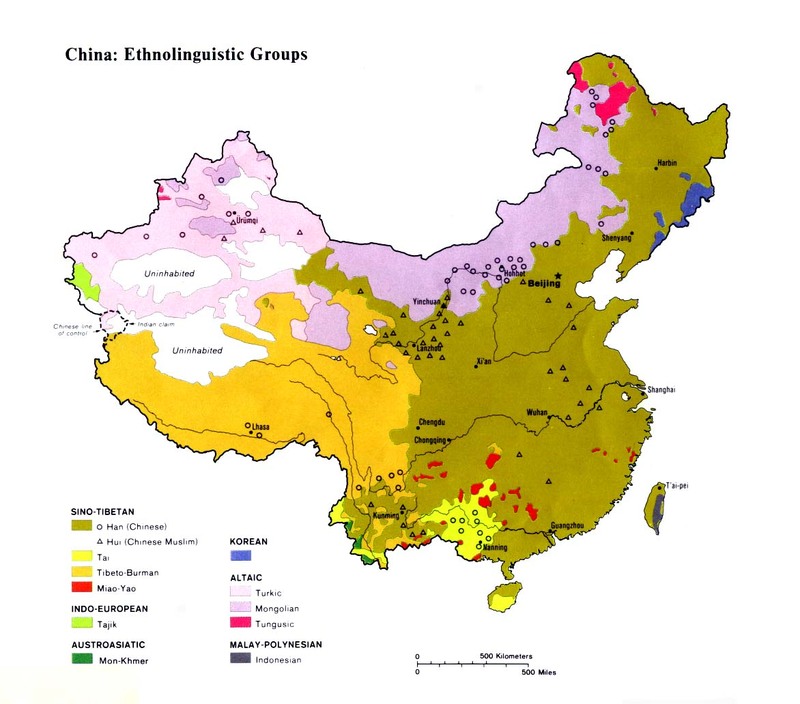 One source states that there are more than 30 distinct Dong dialect groups in China, and that marriage is rare between members of the various groups. The Dong believe in many gods. They regard certain mountains, trees, stones, and other nonhuman objects as sacred. This is reflected in the Dong custom of planting a fir tree for each newborn baby. A form of black magic, called Tu, is practiced by some Dong in remote areas. The Kitchen god is worshiped during the Spring and Fall festivals. A growing number of Dong youth are nonreligious. Although they are considered relatively open to the gospel, the Dong remain one of the most neglected minority groups in China. Today there are an estimated 600 Northern Dong Christians, a meager number considering their large population of more than one million. Most Dong have never heard the gospel. Both Protestant and Catholic missionaries were active among the Dong prior to the introduction of Communism in 1949. Several churches were built, but the gospel never took a firm hold among the Dong. Efforts are underway to produce a Roman script for them. Many Northern Dong could now be reached by Chinese-language media. View Dong, Northern in all countries. 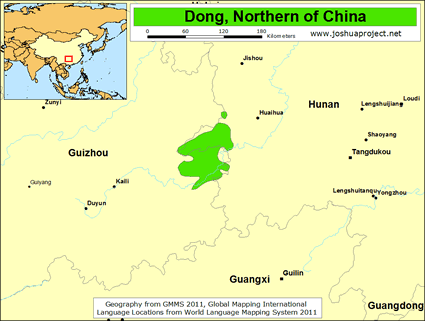 Location in Country: More than one million speakers of the Northern Dong language live in the area of southern China where the provinces of Guizhou and Hunan meet. In addition, a small number live far to the north in Enshi County in southwestern Hubei. In 1990 the Northern Dong amounted to 36% of the total Dong population of 2.54 million.